Theys Roland (Homepage) wrote: Wonderful bw! hoi (Homepage) wrote: I like this. Alex (Homepage) wrote: Impresionante contraluz, me gusta mucho la genial composicion junto al espectacular tratamiento. Saludos. Pavan Kaul (Homepage) wrote: Awesome and aspirational!!! Stupendous work!!! 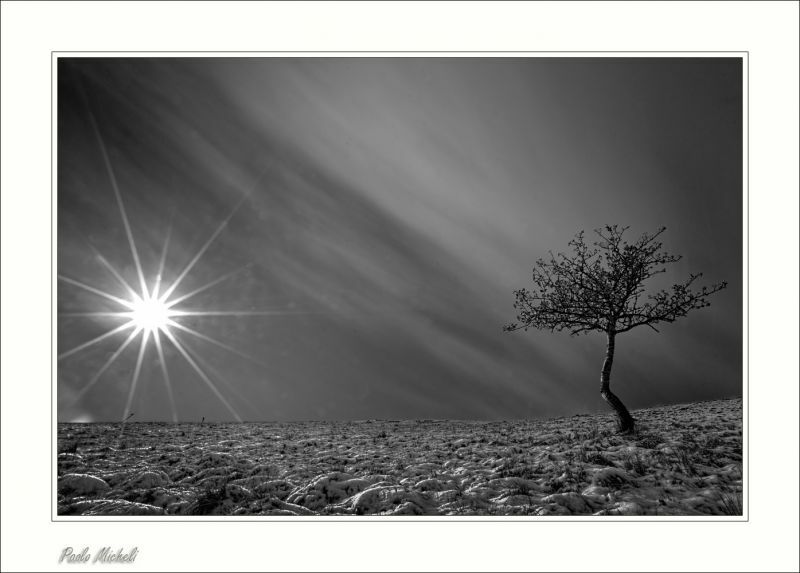 joshi daniel (Homepage) wrote: i loved the effect you have created and the lonely tree just makes a story! Arnd (Homepage) wrote: Stunning composition and superb lens flare. Awesome in b&w! pernilla (Homepage) wrote: Very beautiful composition! Love the light. mario iso101 (Homepage) wrote: Wow nice effect at the sun! A also like the textures at the sky, well done! Arjan - PlasticDaisy (Homepage) wrote: I love how the light falls on the surface here! And the sun is truly a star in the sky! Frida (Homepage) wrote: Beautiful composition and processing. Well done!